Section 8 Housing (also called Section 8 Rent Assistance, or just Section 8) is a Federal government program. It helps qualified low-income families pay their rent through rent subsidies. The U.S. Department of Housing and Urban Development (HUD) funds the Section 8 program. Local Public Housing Authorities manage their own jurisdictions. There are two parts of the Section 8 program. The first part is the Housing Choice Voucher program. This part is either “tenant-based” or “project-based.” Tenant-based vouchers let families choose their own housing location. Tenant-based vouchers stay with the family when they change locations. For project-based vouchers, families must live in a specific unit in a property. Project-based vouchers stay with the unit when tenants leave. The second part of Section 8 is the Total Tenant Payment program. This part is project-based. It lets families live in any unit at a specific property. The voucher stays with the property when tenants leave. It’s common for people to mean the Housing Choice Voucher program when they talk about Section 8. Eligibility may change over time based on the local market and local laws. Taking part in the Section 8 program is voluntary for landlords in most states. Some states say all landlords must accept applications from Section 8 tenants. Massachusetts is one of these states. Section 8 tenants are subject to the same screening process as non-Section 8 tenants. HUD and the local Public Housing Authority guarantee to pay the rent subsidy each month. It’s common for Section 8 tenants to sign leases for at least one year. It’s also common for Section 8 tenants to renew their leases at the end of the lease term. Section 8 tenants must follow the terms of their lease. Failure to follow the lease terms can mean termination from the Section 8 program. Local Housing Authorities screen families before approving them for Section 8. Landlords should still do their own due diligence. But this extra layer of screening may help lower the risk of leasing to bad tenants. Section 8 is a popular program. Most urban areas have hundreds of tenants on a waitlist. Accepting Section 8 tenants give landlords access to the families on that list. Many local jurisdictions have websites used by tenants to find Section 8 housing. These websites are free to use for both tenants and landlords. HUD limits the amount of rent subsidy paid to between 90%–110% of the Fair Market Rent in the local area. HUD recalculates this number each year based on the type of unit and local market conditions. Landlords must have all rent increases approved by their local housing authority. Rent subsidies are not paid until tenants move into the property. Even then, it’s common for a delay of up to 4 months on the first rent subsidy payment. Payments are usually made monthly after that. Section 8 vouchers do not include any security deposit. Landlords must collect security deposits from the tenants. Programs are available to help tenants pay the security deposit. These programs are independent of the Section 8 program. Section 8 tenants are subject to the same security deposit laws as non-Section 8 tenants. The Section 8 program does not guarantee that tenants are available. Landlords should always look for their own tenants. Landlords can report major lease violations to their local Housing Authority. But day-to-day management of the property is still the responsibility of the landlord. Landlords should screen tenants, enforce leases, collect rents, and make repairs. The local Public Housing Authority inspects Section 8 properties once per year. This inspection is free. The inspection happens even if there is no tenant turnover. Inspectors look at 13 areas to confirm that the unit meets HUD safety and health standards. These areas include sanitary systems, lead-based paint, water supplies, electrical, and smoke detectors. It’s common for units to fail a Section 8 inspection. Landlords must repair the unit before re-inspection. Like all tenants, there is the possibility of property damage or excessive wear and tear. Tenants may lose their voucher. Tenants may refuse to leave. They may live with extra people in the unit without telling the landlord. Landlords should screen all tenants before leasing their units. Non-Section 8 tenants may believe the property is dirty and broken. Or that Section 8 tenants will be noisy and disrespectful. Non-Section 8 tenants may choose to live in a different property. Quality tenants and regular maintenance are the best way to combat a bad public image. Landlords submit an application to their local Public Housing Authority. The Housing Authority reviews the application. 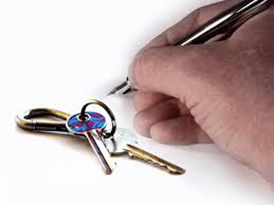 They look at the landlord’s personal information and information about the property. The Housing Authority compares the landlord’s rents against rents in the local area. Rents must be close to the Fair Market Value in the local market. The Housing Authority sends an inspector to look at the property. Properties must meet all health and safety codes. Local jurisdictions set their own health and safety standards. Landlords can accept Section 8 tenants once approved.